Guest blog: The leg dangle – An analysis. 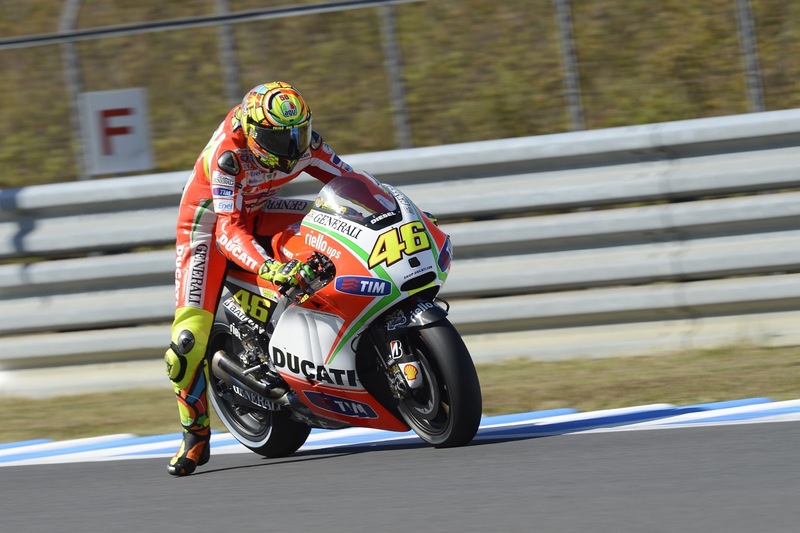 The leg wave, sometimes also referred to as ‘the Doctor dangle’ as the move was popularised by multiple World Champion Valentino Rossi, is a modern phenomenon of motorcycle racing. It is used by an ever growing number of racers, though they all find it hard to explain exactly why their foot wanders away from the pegs when braking for a corner. The first obvious outing for the leg wave by Rossi was his winning move on Sete Gibernau in the 2005 season opener at Jerez. The manoeuvre at the time seemed to be born from desperation and a determination to finish the race in first place, that win went on to become a psychological tool for Rossi – who went on to win that championship – and keep the leg wave in his bag of tricks. Where there is a perceived hint of an advantage then of course the imitators follow. The majority of MotoGP riders now choose to dangle but can offer little explanation on top of Rossi’s statement that it “feels natural” leading to speculation over how much, if any, physical advantage is gained. The most obvious argument would be that moving your leg or foot offers a chance to momentarily shift weight and change your centre of gravity, with the change in balance offering better stability resulting in more confidence to push while cornering. 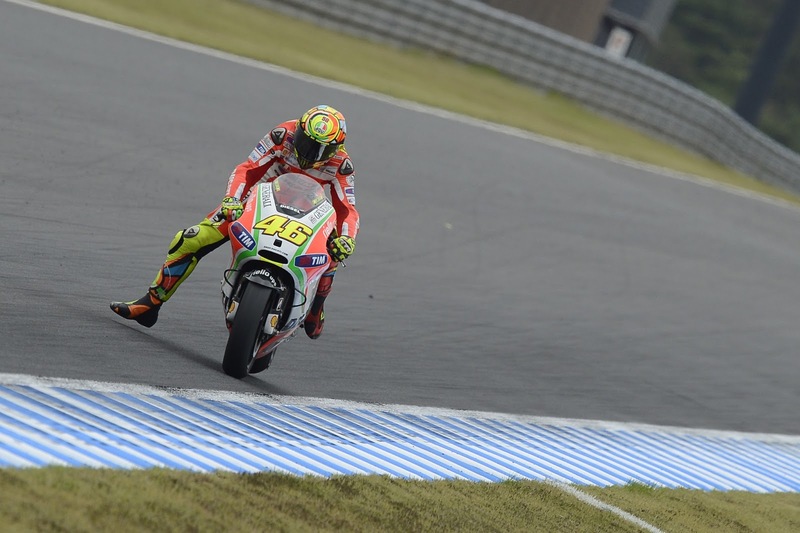 Ever watched MotoGP and marvelled at the lean angles as they go through the corners? Every ounce of balance you can muster is needed for that. It is also attributed to originating in motocross, a sport being used more than ever to keep fit and train out of season by MotoGP riders, where the different handling of the bike means legs and feet are often used to maintain balance and regain stability. The Gibernau/Rossi exchange in Jerez remains a excellent example of it being used as a mental advantage. As a last desperate resort to gain or keep a position moving your leg seems to have an impact on the mind. Whether as a last gasp desperate bid or a thinly veiled attempt to block, even just as a simple distraction technique it delivers a psychological blow to your rival, leaving it up to them if they can shake it off by the end of the lap or the end of the season. Interestingly, current MotoGP World Champion Jorge Lorenzo does not use it at all, he is noted for not braking as late as many of his adversaries which could go some way to explain why he is the odd-man-out yet his talents are great enough to finish the victor in MotoGP twice without sticking his leg out and that fact goes some way to support the argument that it doesn’t give any real physical advantage. So while ‘getting your knee down’ was attributed to Kenny Roberts and Mick Doohan’s thumb operated rear brake technique took off, while not necessarily being the first to do it but the first to be associated to the move and then refine it as a part of their personal repertoire it seems Valentino Rossi has given us the ‘leg wave’, advantage or not, and looking at the use of it in Moto2 and Moto3, it’s here to stay. Great article very good read !